The cheeks give an incredible balance to the facial appearance. Full, high cheeks have long been associated with a youthful appearance, and it is the skin of the cheeks that often gives the face its appealing glow. 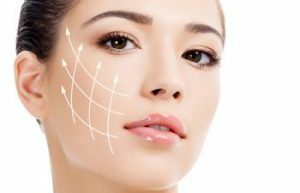 Cheek deformities, injuries to the cheekbone, and cheek mass that is removed during skin cancer removal can leave the face with an unflattering appearance. Since the cheek is one of the highlights of the face, deformities are often quite noticeable. 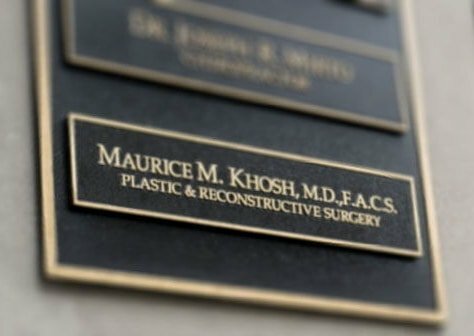 Dr. Maurice Khosh is a facial plastic surgeon who has the knowledge, skill, and experience to restore the natural contour of the cheek with normal skin cover. Injuries to the face are common occurrences to those who are involved in sports and recreational activities. Bats, balls, and other objects that fly through the air have the ability to cause a great deal of damage when they come in contact with the face. Cheek fractures are also common occurrences as a result of motor vehicle accidents and assault injuries. A CT scan is almost always necessary to fully evaluate the extend of bony fractures because of how they can affect other facial features. Repair of cheek fractures and injuries are most often accomplished through hidden incisions inside the mouth or the lower eyelid. When facial cancer surgery is required, the Mohs technique is most often used. Dr. Khosh is an expert in repair of cheek skin defects after Mohs excision. While everyone is thankful to be free of cancer, many people feel self-conscious with their “battle scars” because of the prominence they have on the face. Skin flaps and secondary laser skin treatments can erase any visible signs of the skin cancer or evidence of its removal from the cheek region. 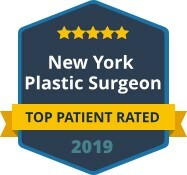 If you are interested in cheek reconstruction in any form, Dr. Maurice Khosh of Manhattan is a name that has been trusted in very detailed cases. 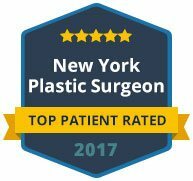 Dr. Khosh is an affiliate member of the Vascular Birthmarks Institute of New York, a practice that specializes in repairing extremely intricate cases of skin malformations. Dr. Khosh’s practice is dedicated to providing excellence, and we are here to help you.